With the unpredictable, fickle nature accompanying the World Cup, any modicum of success should only be treated as so. With such a small sample of games coming just once every four years, squabbling about how a team won instead of simply admiring that they did in the first place is at least a bit unceremonious. Perhaps it’s better to purely express wonder at Russia bursting into the quarter-finals despite being out-shot by Spain 25 to 6. Yet, it also seems fair to say we’ve yet to see the full force of this French squad. There was a point on Tuesday when it felt like France were the best team in recent World Cup memory. With Manchester United’s Paul Pogba and Chelsea’s N’Golo Kante controlling the midfield at ease, dropping in perfect passes to forwards Kylian Mbappé and Antoine Griezmann, the French attack looked unstoppable — the perfect encapsulation of the potential that lay within this squad from the beginning. In some ways, it’s been a dream of a World Cup for Les Bleus. France had the fourth-best odds to win the whole tournament before play started, and almost a month later, they’re still here among the final eight. Coming into the tournament, France were one of the more polarizing countries. With a team chock-full of talent that, when put together on paper, looks among the best in the world, the potential has always been there. Each player in the starting 11 currently plays for a top-flight club in Europe. Elo rates France as the second best country behind Brazil, but it was always easy to worry about the other side of the coin. In Group C — one without a true powerhouse outside of France but with two teams inside the top 20 of ELO’s ratings in Peru and Denmark — France had a chance to show the world they were ready for the moment. They opened against the unintimidating Australia and underwhelmed, winning 2-1 through an own goal and a penalty from Griezmann. France scored just one goal over their next two games, yet thanks to a sound defence won against Peru and drew with Denmark to finish first in their group with seven points. It was never really a doubt whether Les Blues would advance, but the manner in which they did it didn’t inspire much confidence going forward. Whereas countries like Croatia and Belgium had a positive goal difference over six, Les Bleus’ was just two. Thus, their first knockout game against Argentina came with a higher degree of importance, and not just because it was a win-or-go-home. 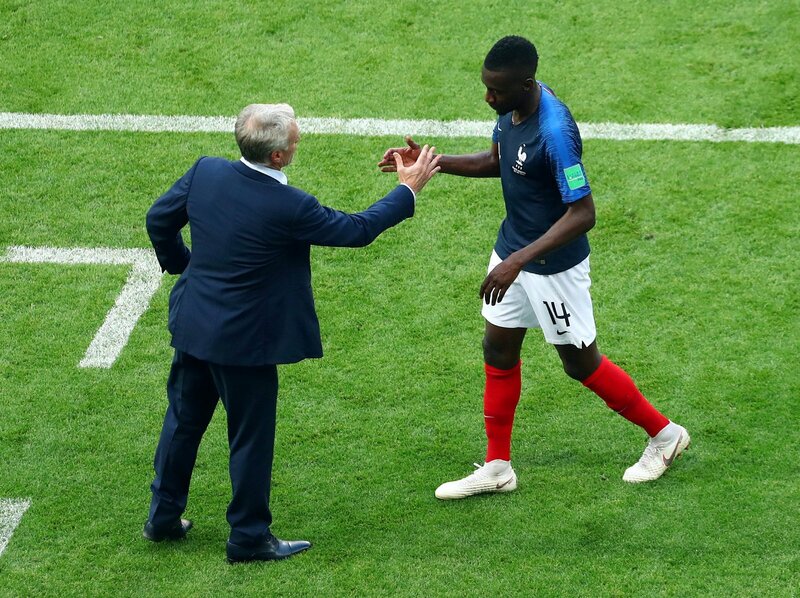 Against Albiceleste, whose success was undeniably tied to that of Lionel Messi’s due to a dysfunctional surrounding team, France had every reason to take the match and run with it. In what might go down as the game of the World Cup, France defeated Argentina 4-3, but again, it felt we still didn’t see the French in full force. Argentina played with the tempo and moxie needed to dispose of the young, athletic Bleus — they maintained possession for 60 per cent of the game, out-shot France 10-9 and had four corners while France didn’t have any. If not for a dream of a shot from Benjamin Pavard and heroics from the blazing Mbappé — who’s placed himself in elite company at just 19 years of age — it’s hard to say how Saturday’s match in Kazan would have played out. Indeed, there was a point just after halftime when Argentina held a 2-1 lead. A defence that allowed just one goal in the group stage allowed three to Argentina. France’s second-round game served as a springboard for Mbappé’s stock and popularity, scoring twice and running downfield in a way that made defenders look as if they had dumbbells wrapped around their ankles. 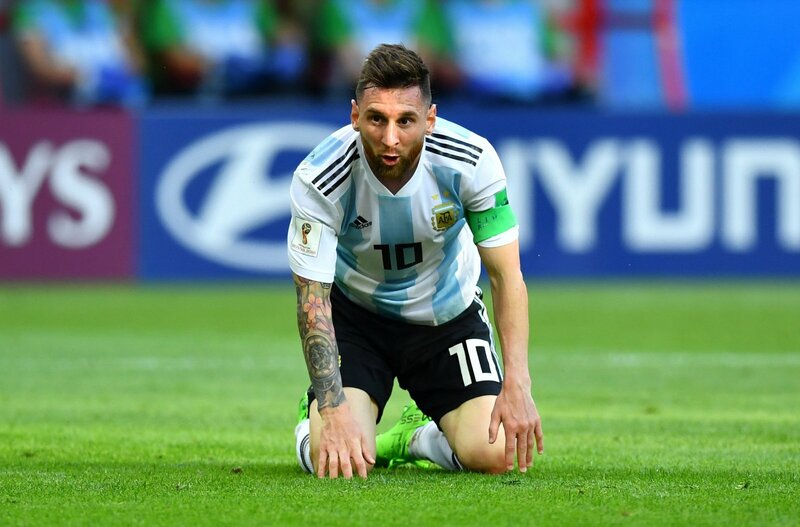 It almost was overshadowed by a desperate attempt by Argentina to stave off elimination and extend Messi’s potentially final chance at World Cup lore. Five Thirty Eight gives France a 62 per cent chance to defeat Uruguay in the quarters and 26 per cent odds to advance past the winner of Brazil-Belgium to the final, but it’d be easier to have faith in Les Bleus if they had shown a dominant performance in one of their four matches up to this point. While Mbappé has proven himself to be what some might call the next Messi or Cristiano Ronaldo, none of the French players have played exceptionally. Whoscored gives Mbappé a 7.71 rating, but no one else comes close to that mark. Pogba is at 7.15, and Griezmann is at 7.03. No French player outside of Mbappé rates in the top thirty of all World Cup players. This can be encouraging to French fans. That they arguably haven’t played up to everybody’s expectations and have still advanced to the final eight is impressive. Imagine the kind of damage they could inflict if they do put together a cohesive performance. With upcoming matches against the underrated Uruguay and one of Brazil or Belgium, that’s exactly what France might need. Another commanding staging by Mbappé would be more than welcome, but relying on him might be a dangerous notion. Bet £10 get £30 in Free Bets and an EXTRA £10 on ANY World Cup Market!